Toys/Books - Krew loves to read books and play with cars. I always make sure I have at least 2 toys for him in my bag so he is happy and entertained. Treats/Fruit Snacks - These are a must have for me to keep my little guy happy and occupied when I need it. I am all for rewards too so when he is being good and nice he gets a sucker! The best part about the suckers I have is they are organic and have vitamin C so they have a few benefits as well. Diapers/Wipes - I always keep a little pack of diapers and wipes in my trunk to refill my bag when I run out. This has saved me so many times! This weekend I was visiting my family and realized I didn't pack enough diapers, then I remembered the pack in my car and I was set. I just put some wipes in a little ziplock bag and obviously if I run out or low I have more in my car to refill. Stuff for me - Of course I need things for myself as well. I am pregnant so I don't need feminine products and that would be an obvious but I could fit that if I needed. I always make sure I have a light lip gloss and then one with color to throw on to make me look more put together and nice! Sometimes throwing on some lip color changes everything! This bag has slots for debit cards, IDs, etc. which makes it nice to not have to carry a whole wallet. 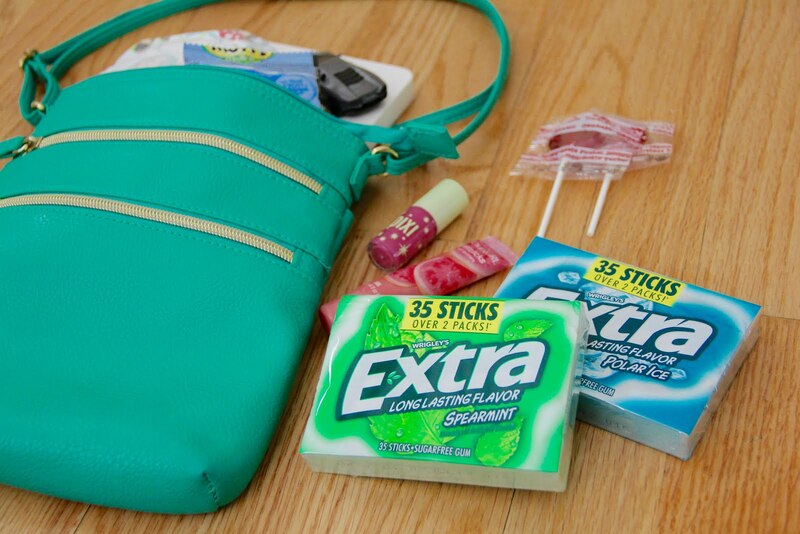 The last thing that is a necessity for me is gum! 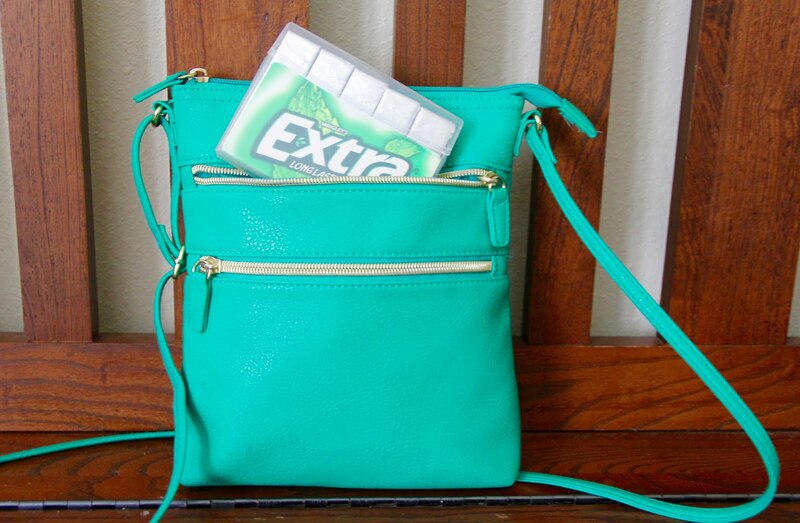 I have to have gum no matter what. 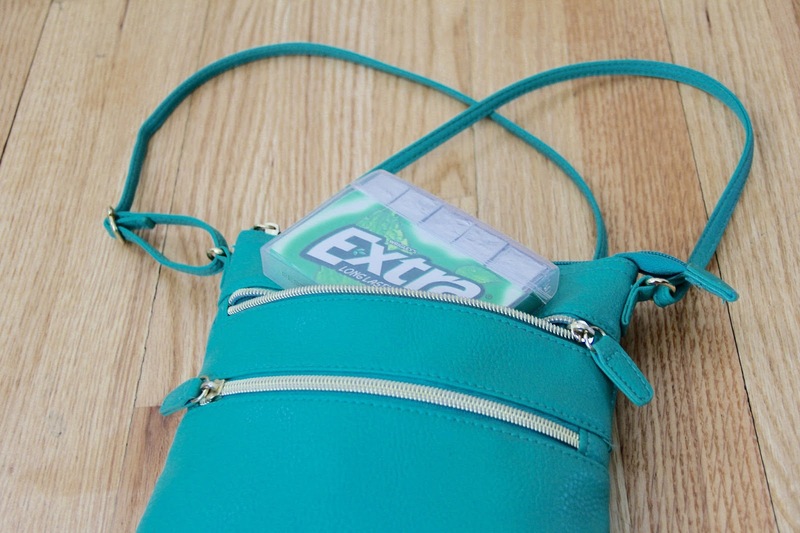 When I saw the new Extra® Gum Spearmint and Polar Ice 35-stick package at Walgreens I was so excited! Not only because the pack is huge but I keep it in the front pocket and it doesn't get smashed with the durable and recyclable packaging which is so nice. 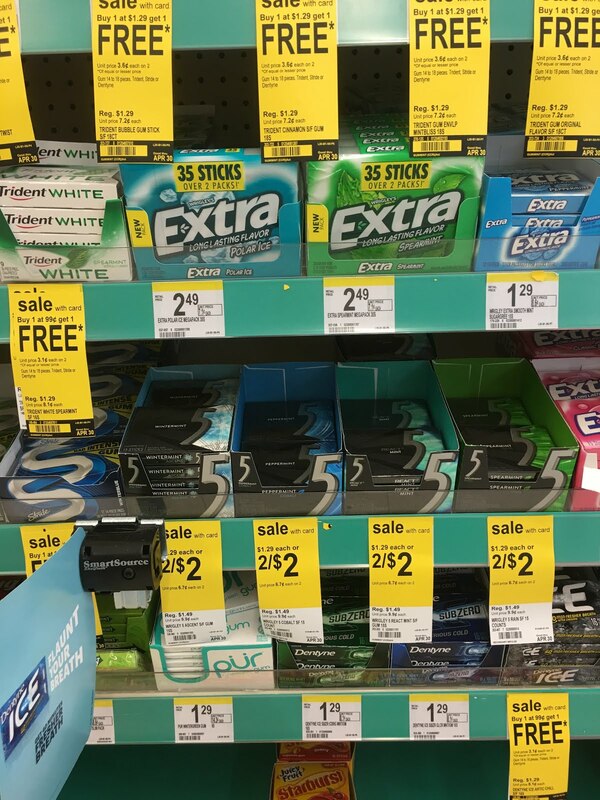 Also, everyone knows that when you pull out gum everyone is asking for a piece and I don't have to worry about sharing and running out because there is so much in the pack. It is very easy to overpack as a mom, I know because I used to do it all the time! 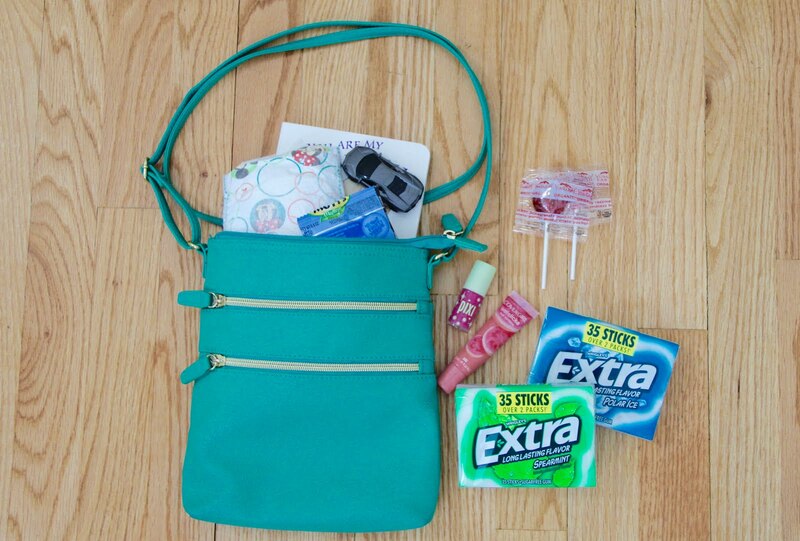 I know with a little baby it is harder but if you keep a diaper bag in the car and just keep your little bag stocked for shopping, etc. your life will be easier and your hands will be lighter!